By most accounts, Henry McCarty (later known as Billy the Kid) was thirteen years old when he arrived in Silver City, New Mexico, and those who knew him at the time reported that he was no more a problem than any other boy. In fact, he may have been better behaved than most. By the time he left Silver City in 1875 at age fifteen he was on his way to becoming one of the most famous thieves and killers in U.S. history. My novel Catherine's Son attempts to explain his transformation in a way that conforms to what I think are the main themes of his life. And I want to make clear that the story I tell in Catherine's Son is a work of fiction. Although every significant character in my book is based on a real person in the Kid’s life, I make no claims to unadulterated accuracy in telling their stories. If more had been known about the two years Henry McCarty lived in Silver City, I could have told his story as nonfiction. But the documented record of his life during those years is sketchy. Only two articles from local newspapers and the recollections of a handful of people who knew him can be used to assemble any narrative at all. We know from one newspaper, for example, that Henry’s mother died in September 1874. The obituary was short, prompting many questions about her life before coming to Silver City. We know from another newspaper that Henry escaped from jail on September 25, 1875, one year and nine days after his mother died. Almost everything else that is known about Catherine and her son Henry during their Silver City years is based on a few interviews with those who knew them personally, as well as general assumptions about their lives gleaned from the town’s historical record. Long after Billy the Kid died, several people who had known him in Silver City spoke about what they remembered about him and his mother. The people who offered recollections included the town sheriff (Harvey Whitehill), his teacher (Mary Richards), a good friend of his mother's (Mary Hudson), and several people who were roughly his same age (Wayne and Harry Whitehill, Louis Abraham, Chauncey Truesdell, Charley Stevens, and Anthony Connor). All told, Henry was described by those who knew him as a generally likable, well-mannered, and sometimes mischievous boy. Despite what Whitehill and Stevens said, many other people offered a much different view of Henry McCarty. My original motivation for writing Catherine’s Son stemmed in large part from testimonials such as these and the fact that the portrait they painted of Henry McCarty did not conform to images of Billy the Kid as a black-hearted villain. If Billy the Kid deserved the notorious reputation he gained toward the end of his life, one can’t help but wonder what happened to change him. How did a “scrawny little fellow with delicate hands and an artistic nature” end up on the wrong end of Pat Garrett’s gun? Anthony Conner, who claimed to have been a boyhood friend of Henry’s, is often quoted in history books describing Henry as a good boy who loved to read. Connor, however, may not have moved to Silver City until after Henry had left the town. For that reason, Conner has not been used as a character in my novel. Nevertheless, information provided by Connor has been used in my book to help flesh out Henry’s character. To me, much of what Conner said rings true when I look at other descriptions of Henry, and even if Connor didn’t know Henry McCarty personally, he may have been relating what people in Silver City had told him after he moved there. Jerry Weddle, who wrote Antrim is My Stepfather’s Name, an excellent book that primarily deals with Henry’s life in Silver City, provides this composite description of the young man who became Billy the Kid. In the end, so little is actually known about Billy the Kid’s short life that readers must forever beware of books claiming to tell the “real” story. The date and location of the Kid’s birth, for example, is conjecture, even though most writers place his birth in New York City in 1859. The name given to him at birth is also open to debate, even though most say his name was Henry McCarty. Historians know he had a brother named Joseph or “Josie,” but it’s not known whether Henry and Josie shared the same father. Historians also argue over whether Josie was younger or older than Henry. The identity of Henry’s father is unknown, and there are numerous questions about Henry’s mother, Catherine, especially her life before moving to Silver City, New Mexico. Historians speculate that she was an Irish immigrant but cannot confirm it. We know that she lived for a time in Indiana before moving to Wichita, Kansas, where she evidently owned and operated a successful laundry. She was also probably involved in Wichita politics and reportedly became the only woman to sign a petition calling for the incorporation of the town. 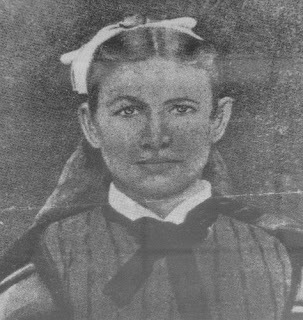 Although an understanding of Catherine’s life in Wichita comes from some documentation, no records exist of Henry or his brother before March 1, 1873. On that date, they served as a witnesses in Santa Fe to the marriage of their mother and a man named Bill Antrim. 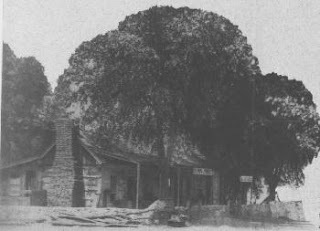 Within a few weeks after the wedding, Catherine and Bill then moved with Henry and Josie to Silver City in the southwestern corner of the New Mexico Territory. Henry’s years in Silver City provide many false stories to feed the myth of Billy the Kid. One famous story said that he committed his first murder in Silver City, killing a man for insulting his mother. It’s also been said that he slit the throat of a Chinaman in Silver City. According to those who knew him in Silver City, those stories were simply not true. Legend has even proclaimed that while he lived in Silver City he used a knife to decapitate a neighbor’s kitten. If so, there’s no mention of that event or anything like it in any of the interviews with the people who knew him at the time. Any writer trying to tell the story of Henry’s life in Silver City must resort to speculation and guesswork to fill the gaps in his story. Much of the myth surrounding Billy the Kid is no doubt a result of the insufficiency of the historical record, and few characters in American history are surrounded by as much mythology as Billy the Kid. As the author of Catherine’s Son, I plead guilty to using speculation and guesswork to tell the Kid’s story. I simply hope that my version of how Henry McCarty became an outlaw is plausible enough to be entertaining and thought provoking. The book, after all, is a work of fiction. Billy the Kid is a controversial character, to say the least. For some, the Kid was a symbol of rebellious youth standing up to the overwhelming force of New Mexico’s political and financial power structure. For others, he was no more than a murderous thug. Regardless of the position one takes, this much seems true: Billy the Kid was a charismatic young man with a pleasant disposition and an instinctive ability to escape from trouble. In so many words, even Pat Garrett, the sheriff who killed him, described him in those terms. In the final analysis, Billy the Kid was an outlaw and thief who killed at least four men and was ultimately sentenced to die for killing an officer of the law. The degree to which someone wants to believe he was justified in his actions and should have been pardoned for his crimes is open to debate. The argument will always be contentious and emotional. So much has been written about the last four years of the Kid’s life—his participation in the Lincoln County War, his capture and sentencing, his escape from jail, and his death at the hands of Pat Garrett—that I had no desire to add another book to that part of his story. Instead, what I wanted to explore was a narrative of his life during the years before he became an outlaw, the time he lived in Silver City with his mother and the time he was learning how to survive without her after she died. I might have approached his life during those years much differently, developing the theme that his criminal nature was evident from the beginning. If so, Catherine’s Son would have told the story of delinquent child, a wild boy causing his mother much concern and distress before her premature death. I have no doubts that a version of the Kid’s life based on that theme would have made a good story. But that’s not the story I wanted to tell. In the end, I wrote Catherine’s Son in the spirit of reconciling that difference. If anything, I hope I have provided readers with a story worth reading. "Like fairy tales or folk songs, all versions are true. The more versions there are, the truer it is."